The Tiger Who Came To Tea, written and illustrated by the doyenne of children’s literature Judith Kerr, has charmed children and parents alike since its first publication in 1968. The Savoy has teamed up with HarperCollins Children’s Books to commemorate the fifty-year anniversary of Kerr’s treasured classic through the launch of a unique children’s Afternoon Tea – The Tiger Who Came to Tea at The Savoy. For what is The Savoy’s first children’s Afternoon Tea offering in its 129-year history, the iconic picture book has been transformed into a feast of teatime treats that draw inspiration from the tea that Sophie and her mummy shared with a visiting tiger in the story. The Savoy’s pastry team has created a whimsical menu that will enchant children and bring delight to all grown-ups who are nostalgic for classic bedtime stories. The tea will be served on bespoke chinaware also inspired by the story and available to buy from Savoy Tea. In the golden anniversary year of The Tiger Who Came To Tea, the inimitable tiger is being be celebrated in a host of exhibitions, plays and tea parties taking place across the country. In June, The Savoy was honoured to welcome Judith Kerr to the hotel to celebrate her 95th birthday and is thrilled to be transforming her gem of children’s literature into an unforgettable feast of the imagination. 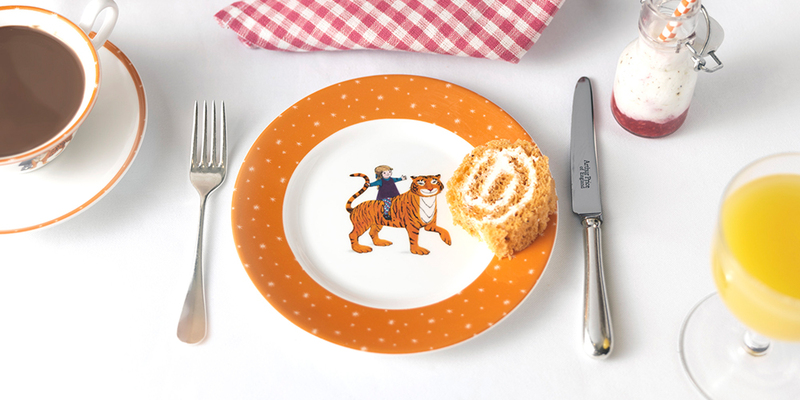 The Tiger Who Came To Tea at The Savoy is priced from £40 per child and comprises sandwiches, tiger striped scones and pastries that playfully reference moments in the story.